Welcome to this second edition of the IRF (Geneva) newsletter. As we enter Spring, we are gearing up for a series of key events that will mark the transport calendar this year. We are pleased to announce that IRF will be hosting a major side event on the "Belt & Road" at the annual ITF Summit in Leipzig beside actively participating in other sessions being hosted at the Summit. 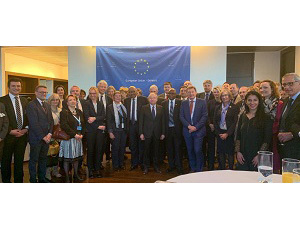 As the date of the Third Global Ministerial on Road Safety (Sweden2020) approaches, efforts to move forward the road safety agenda are multiplying. The next UN Road Safety Week in May will give to each and everyone the possibility to show leadership by speaking up for Road Safety. Help us spread the message. Now it is the time to speak up! 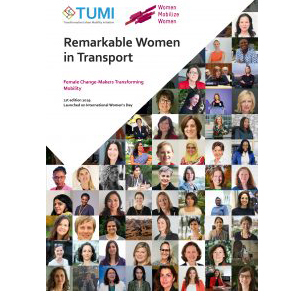 Finally, our thanks to TUMI for putting a spotlight on the outstanding women engaged in the transport sector. No more excuses for men-only panels. Now the transport community has a first list of highly qualified women transport experts! This and a lot more in our newsletter. 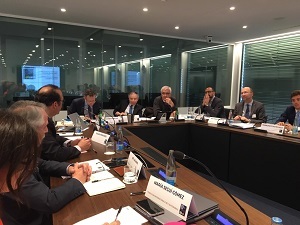 The 2019 ITF Summit which will be hosted in Leipzig (Germany) on 22-24 May has as theme "Transport Connectivity for Regional Integration" and will gather as usual top decision makers from the public and the private sector. IRF will be hosting together with China Highway and Transportation Society and the Black Sea Economic Commission (BSEC) a high-level debate on "The Belt & Road: Bridging the gaps for sustainable transport and growth in Eurasia". This side event will take place on May 22nd from 11.00 to 12.30. Time to speak up for Road Safety! The theme of the 5th UN Global Road Safety Week is "leadership for road safety." The goal of the Week, which will be held from 6-12 May 2019, is to generate a demand from the public for stronger leadership for road safety worldwide. Resources to assist those who are planning activities and events to mark the Week, including logo and slogan, sign boards, template petition letters and pledge announcements, are now available. Make sure you speak up for road safety! 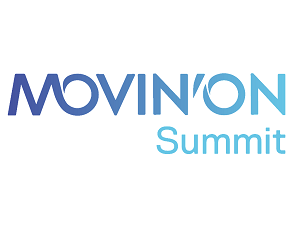 The 3rd Edition of the Movin'On Summit will take place on 4-6 June 2019 in Canada. Presented by the Movin'On Sustainable Mobility Fund with the support of Michelin and Michelin Foundation, the objective of this World Summit is to move from ambition to action. This year, the theme is "Solutions for multimodal ecosystems" such as Decarbonization and air quality, Multimodal urban transit and society, innovative technologies, goods transportation and multimodality and circular economy. 5000 participants are expected and the IRF is pleased to confirm its attendance to this important event. 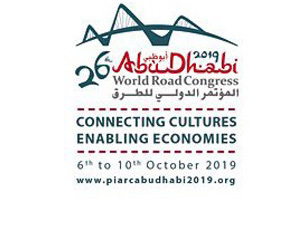 IRF is pleased to support and to actively participate in the PIARC World Congress to be hosted in Abu Dhabi on 6-10 October 2019. The theme of this must attend event for the road and transport community is "Connecting Cultures, Enabling Economies" and will see participation from 120 countries. 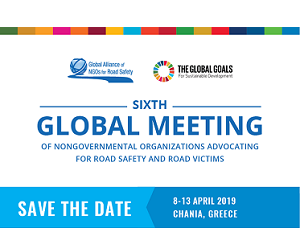 IRF is co-organising a special session on "Building Partnerships For Better Road Safety" together with the Global Alliance of NGOs for Road Safety and a special session on "Transport Is Not Gender Neutral: From Increasing Mobility To Enhancing Employment" together with the World Bank. Established in 2014, the "HELLENIC ASSOCIATION of TOLL ROAD NETWORK" known as "HELLASTRON" for short, counts among its Members all modern Motorways and Toll infrastructures in Greece, namely, eight (8) Agencies including Attica Tollway, the Rion-Antirrion Bridge, Egnatia Motorway, NeaOdos Motorway, Moreas Motorway, Aegean Motorway, Olympia Odos Motorway and Central Greece Motorway. "HELLASTRON" promotes national road safety through improving road transport, infrastructure and services offered to users. The network, with a total length of 2,133 km, is arguably among the most advanced of its kind. 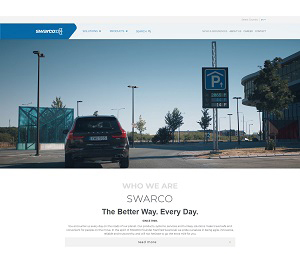 Constructed to the highest technical specifications and claiming numerous pioneering contributions in the field of operation, it offers top road safety along with quality services, reliability and comfort in every trip. 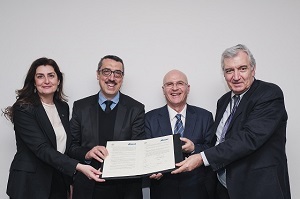 The Association collaborates with State Authorities, the Greek Parliament and various scientific institutions and entities to help shape national transport and road safety policy. It also develops its own educational campaigns to increase public awareness and promote a widespread culture of road safety. Take advantage of a whole range of services including special rates for the IRF World Road Statistics (2018), other IRF publications and preferential registration rates for upcoming IRF events! © Copyright International Road Federation 2019. All rights reserved.